is the first of the Zodiac signs and extends from 0 degree to 30 degree. 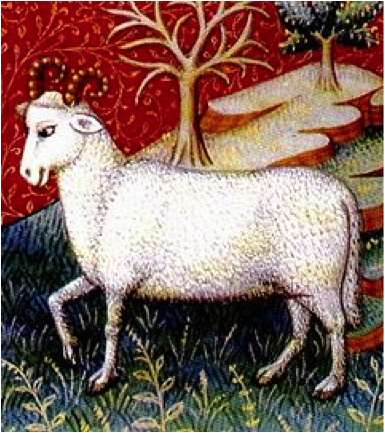 Characteristics of a Ram in the Zodiac sign- Aries. § Arians are generally impulsive, hasty, restless, competitive and bold. § It is a male, movable and a firey sign as described in the previous article. § A person dominated by Aries i,e whose Ascendant is Aries has more stars on Aries or has a very strong Mars would be bold ,egoistic, intelligent but impulsive with a good physical strength. § They love to take risks and have leadership qualities. § Being a movable sign, restlessness and inconstancy are the characteristic which become part of their constitution .They love changes and a fast moving life style. § They are the first to take up any tasks and like to face challenges. § Being firey, gives them much strength and power to carry out work and makes them very ambitious and forceful and will not like contradiction. § It belongs to Dharma Trikone so they are fighters for religion and principals. 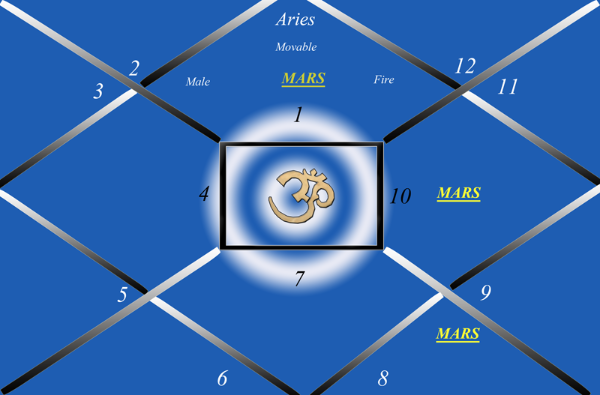 § Lord of Aries is Mars which is also firey and a male planet. He has both constructive as well as destructive power. · Aries rules the head so more susceptible to head injuries. In majority of Attention Deficit Hyperactivity Disorder (ADHD) and hyperactive children, we find Mars prominent. But combination of other planets like a bad Moon which is responsible for emotions and comprehension and sensitivity or Mercury which is responsible for logic, intelligence and learning ability makes the child unmanageable and restless. Therefore, such children have more Martian energy which has to be controlled and harmonized. They must be encouraged to spend energy on sports and constructive games where the excess energy is utilized and automatically they become relaxed. Even, in adults with a strong Mars they must be advised to have a active lifestyle and develop hobbies which involve activity like outdoor sports, gymnasium etc . If advised meditation or yoga, where ideally they have to sit in one place, they will find it difficult to concentrate and may develop frustration. After a strenuous work out, once their Martian energy is utilized they can do concentration excercises which will be more beneficial. Remedies indicated:- Nuxvomica, Lycopodium , Acid Sulph ,Merc , Tuberculinum, Chamommila, Tarentula , and other restless remedies. In a chart, whose ascendant is Aries or Moon is in Aries and Mars in either Aries, Scorpio or Capricorn where Mars is exalted/strong, they will have the above characteristics predominant in his/her personality .